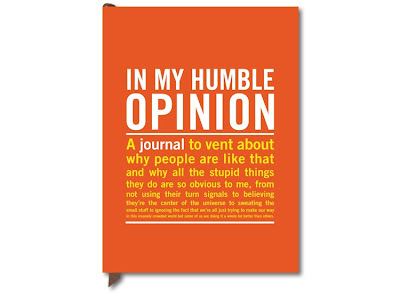 Well at least this journal is slightly more restrained than the one emblazoned people I want to punch in the face. 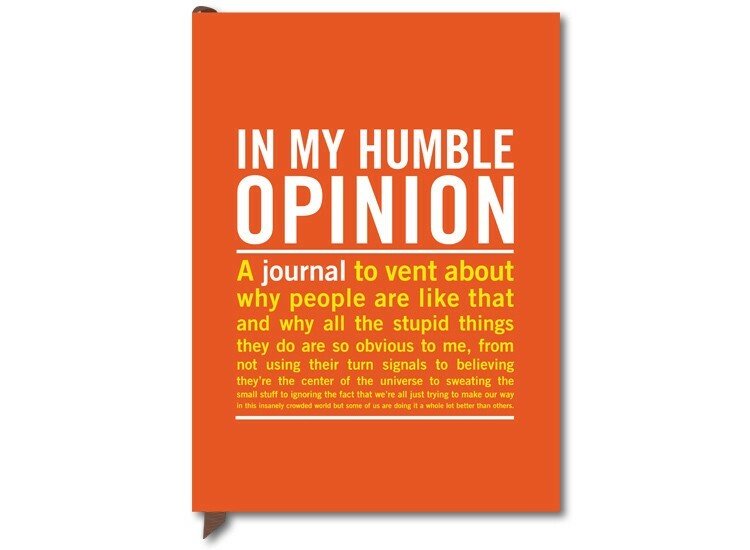 The very best thing about a journal is that you're allowed to say whatever you like. You don't even have to really mean it. You can be mad at someone and say whatever you like then turn the page and you're pretty much over it. You don't even need to punch them in the face. Probably a good thing, that's definitely frowned upon, even if they do say stupid things. 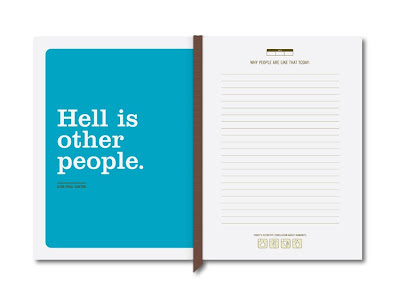 This humble opinion journal is from the Saatchi Gallery shop and it features over 70 quotes from people more famous than you being more pissed of about people than you. I think we all need somewhere to vent about why people are like that and why they do things that tick us off and what silly things they say. The journal is £11.99 and rather fabulous indeed, but before you get too carried away with your humble opinions it's probably a good idea to remember what happens to SMG in Cruel Intentions. Keep your journal well-hidden, otherwise Selma Blair might steal it and make a copy after you've been hit by a car.